SHX is the elemental remote housing for high density rack SRX. 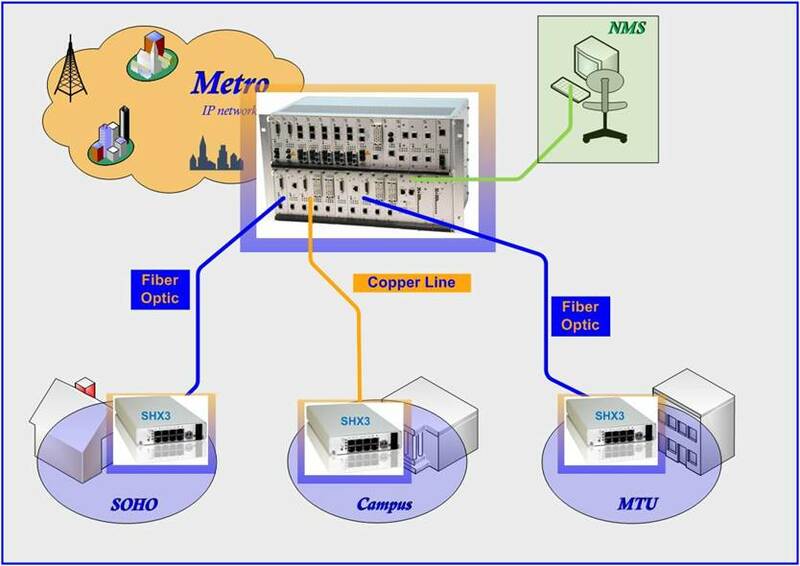 It is placed on the edge of access network to shelter arcutronix’ connectivity products as well as Ethernet demarcation devices. One housing for all applications, this makes the SHX3 so unique. The SHX-Family offer a simple and flexible solution to build a standalone unit using one of arcutronix 3RU rack mount card. An integrated wide-range power supply gives the opportunity to feed the SHX either with 110/230VAC mains or 48VDC input. Thus, the SHX offers the widest range of flexibility. The installed access unit can be locally managed via the present VT100 management port located on the rear side of the SHX, via standard RS232 interface. The SHX is designed for CPE and cabinet applications. The integrated alarm connector opens the opportunity to monitor the plugged unit and the operator is quick informed in case of any failure. The SHX can be used as desk-top unit or as wall-mounted housing without any additional hardware required.